Grandma made sweater, a new trend and a must-have item in this autumn and winter. Home / FASHION / NO WONDER SO POPULAR ! “GRANDMA MADE” SWEATER IS REALLY BEAUTIFUL ! The hand-woven sweater that is as if “made by grandma” is a more fashionable one than a solid-colored sweater in this autumn and winter! 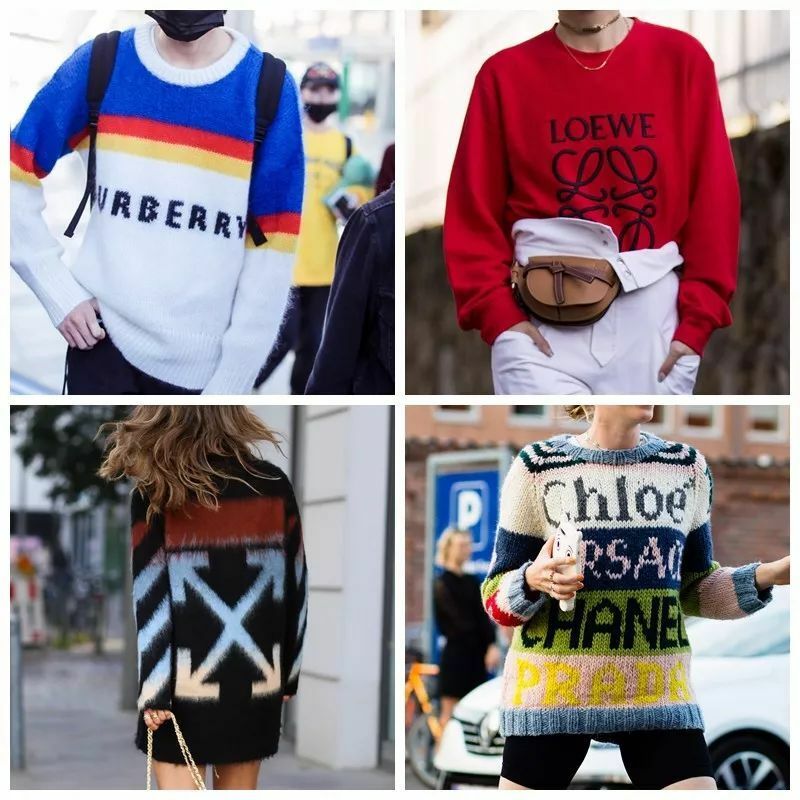 This “grandma made” sweater, ingeniously printed the logo of the four luxury brands Chloé, Versace, Chanel, Prada, made you a “logo girl” in minutes! 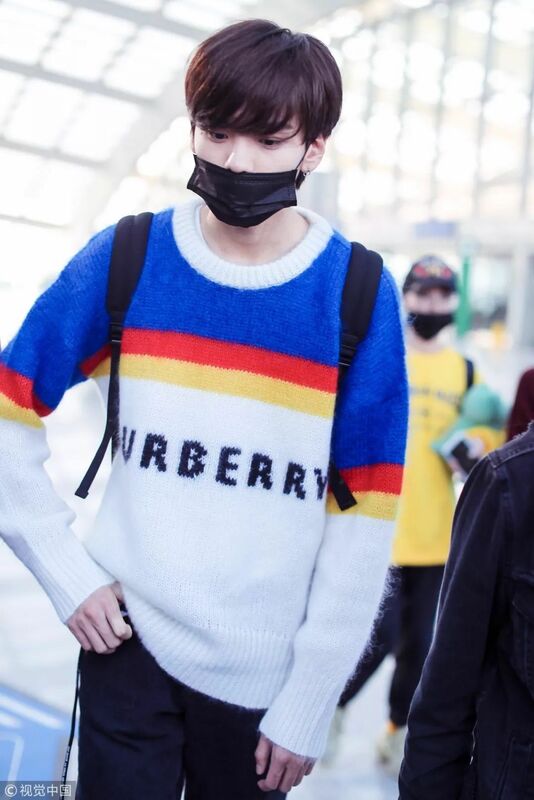 You can have this simple-sized sweater a must-have item, as the design of it with full of fun and high sense of humor. This sweater is a symbol of Unisex, both men and women can try it. And it has been a best choice of most of celebrities. Adriana Lima’s Fendi letter logo embroidered turtleneck sweater matched with grey drawstring sweatpants, and also with the Louis Vuitton City Steamer black handbag is also very suitable for autumn and winter travel. With its completely axisymmetric and rich geometric prints, the Nordic sweater is quite popular among the hipsters in this season. 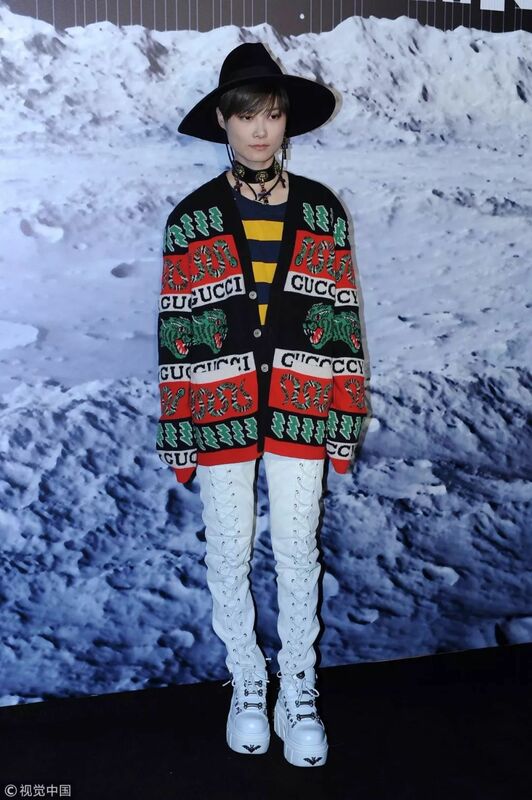 Loewe’s Nordic Grandma’s sweater is the first choice for the fashionistas. With this sweater,you can enjoy the beauty and keep warm at the same time. In addition to Loewe, how can other brands let go of such a hot element of “Northern Europe style”? What the following stylishly girl dressed is MiuMiu’s puff sleeve Nordic grandma made sweater. The plain grandma made sweater and the brand’s original and unique logo have changed into a new look. And it has become the most in-situ item you have to have this fall!